Land Use Undeveloped land ideal for farming, agricultural, and commercial warehouse development. 19 acres of land in the Holly Hill Opportunity Zone and less than a twenty minute drive from the new Volvo facility. Minutes away from the I 26/95 interchange, and ideal for continued agricultural use or development into a commercial warehouse facility and benefit from the Opportunity Zone tax credits. 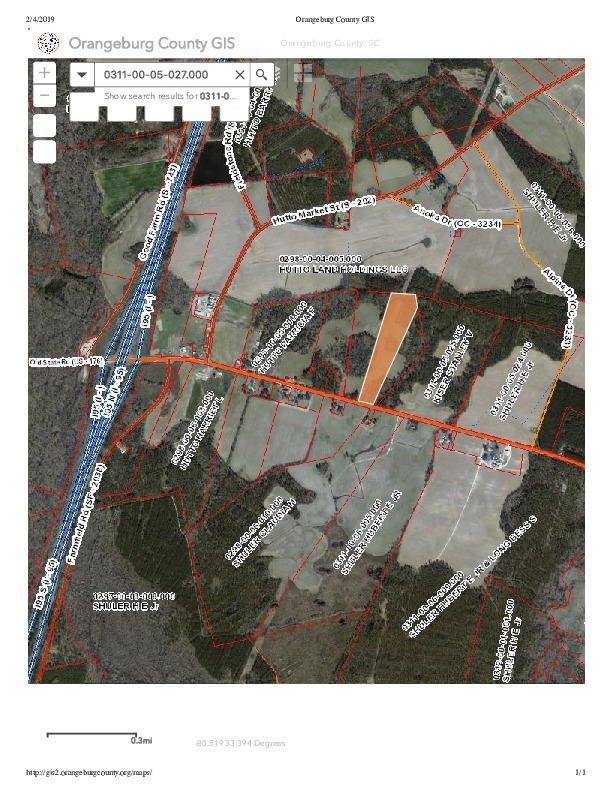 19 Acre Lot located right off of the I 26/I 95 interchange and just 16.7 miles from the new Volvo Manufacturing Plant. TMS # 0311-00-05-027.000. This property offers road frontage on Highway 176, and is located within the Holly Hill/Ridgeville Opportunity Zone.